Christina and Yisrael Vincent are bright stars. They speak with intention and kindness and live from a confidence in the power of love. They are brilliant! Both have graduate degrees and Yisrael is a PhD candidate. Last, but not least, they are so madly in love. It's obvious that they are each other's favorite person and best friend. In every interaction they always have each other's back and cheer each other on in the small and big ways. Serving them on their wedding day poured some of their light into my life. What a joy it was to watch as they navigated preparing for marriage, honored their families and friends through their wedding ceremony and reception, and shared their joy and love with their community. We had a blast celebrating their marriage! 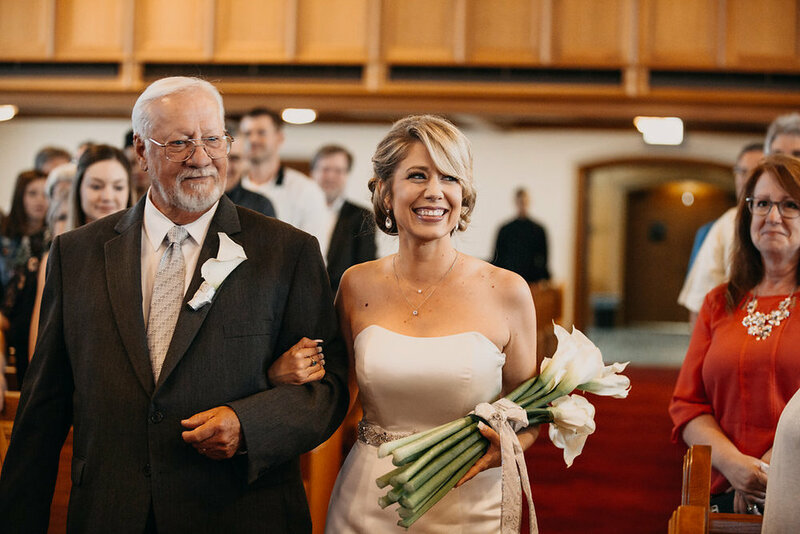 Committed to their faith in Jesus Christ and to investing in relationships, they chose a traditional ceremony at University Heights Baptist Church and asked a friend and mentor in their faith to officiate. So sweet, personable, and beautiful. University Heights Baptist Church has a stunning sanctuary. We showed up, lit a few candles, and voila a gorgeous ceremony! Their ceremony was moving. 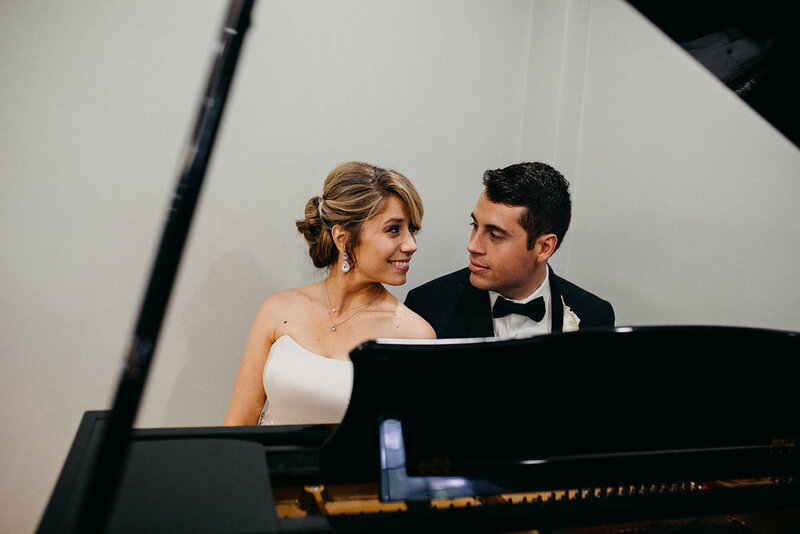 From the live performance of Esther Sevilla Guy, to the vows, prayers, and kiss the Vincents' ceremony was full of deep joy and powerful love. After announced as husband and wife they hugged each guest and thanked them for coming. I watched as every person sincerely shared their congratulations with the Christina and Yisrael. The room was full of LOVE! At the reception, we all enjoyed great barbecue from Whole Hog Cafe (YUM!) and danced the night away! Not only did Christina and Yisrael have an incredible wedding day, they have a beautiful marriage. They wanted to share some wisdom from their wedding and first year of marriage with you. Looking back on your engagement, what is one thing you are so glad you did? One thing you could have done without? Y: Two major things: we had a wedding planner and a good photographer. Having a wedding planner was one of the best decisions ever. We used Celia, so I'm biased, but having someone to help manage all the details allowed Christina and I to focus on spending time with our families and enjoy the day. A photographer was great too. We love our photos and they really are worth it to capture the moment. One thing I would have gone without was paper invitations - it' 2018 we should be paperless lol. C: Pre marital counseling. We went to an amazing two day retreat that really stretched us and gave us the freedom to be more candid than we had ever been. It opened the door for that kind of communication to continue into our marriage. I’m not sure what we did not need. I picked what I truly wanted and our wedding was about us and our guests so there wasn’t extra stuff that was irrelevant. My husband says we could have done without paper invitations...but that would have never happened!! Y: Definitely seeing Christina for the first time (downside to a good photographer is the professional photos of me losing it - not cool!). I will remember that moment as long as I live. C: Wow! Pick just one? Probably driving to the wedding reception after photos. It was just the two of us in the car and it was the first moments we had alone after being married! What is one thing you didn't expect about marriage? Y: How spiritual it is. For the majority of my adult life it was always just me and Jesus and then I learned being married that Christina was allowed in spaces that I had only let God see and that was really humbling. Learning how to walk with Jesus together is a whole new discipline. C: How easy it is. I realize that is not everyone’s experience but I prayed and waited for the right person. You can fall in love and marry anyone, but waiting for the person that God had for me made all the difference. Y: Quality time and laughter. I'm intentional about getting ample time with Christina. The first year of marriage we hardly hung out with our friends and I don't regret it. We needed it to just be us for a bit. I also make sure to not take ourselves too seriously - we still crack up over stupid stuff almost every day. C: We recognize importance and have committed to family being our number one priority. We make sure that we have time together, even if that means postponing other events or scheduling other things weeks in advance. Y: Getting married is like getting older. When we're kids we tend to think being older will solve all our problems. As adults we can sometimes feel overwhelmed with responsibility and miss the good old days when they were young. But when you do it right you're glad to be in the season you're in and wouldn't change it for anything. Likewise, there is no need to rush or compromise in order to be married, enjoy the season you are in and when the time is right it will simply be a natural progression of a special relationship. I love being married, but I was also in a place before getting married that I appreciated being single. Both are great when it's the place God has you. The best advice! AMIRIGHT?! "Assume the best" as Christina shares, has helped my relationships. Do you see what I mean by them being bright lights and kind souls?! 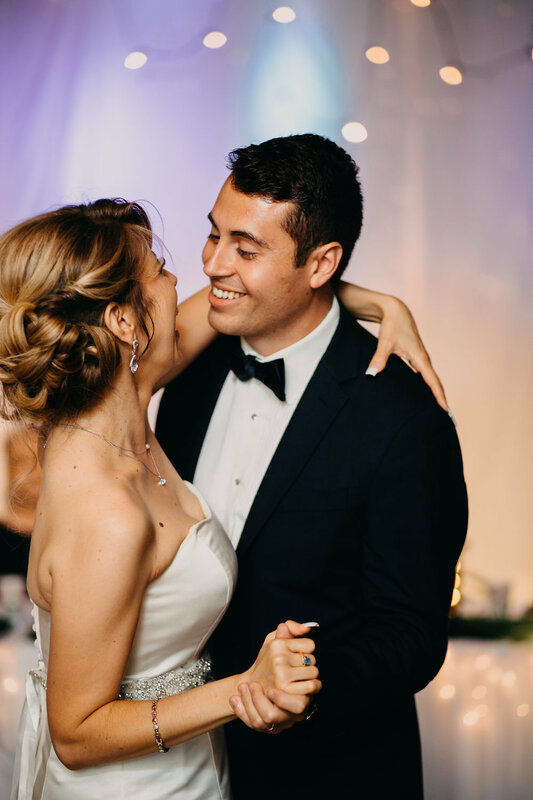 Their wedding day was a true representation of connection, love, and joy--and most importantly, THEM! 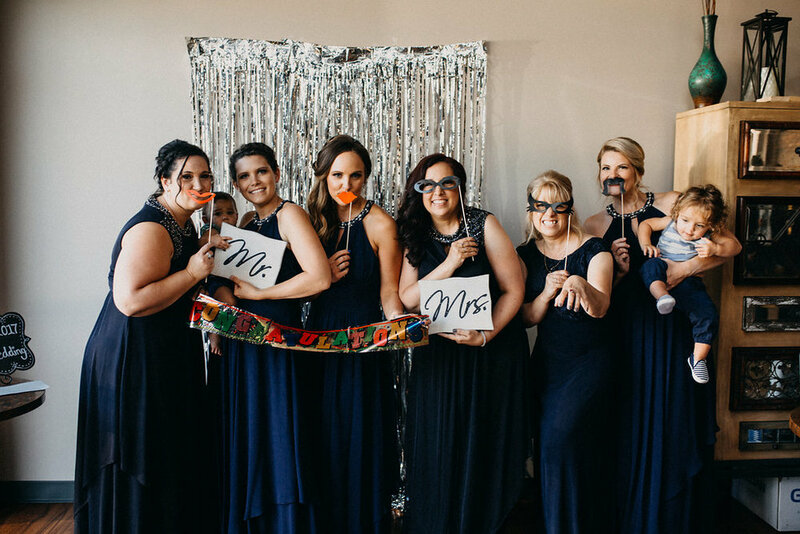 Okay, okay, okay, now for the amazing vendors from their big day! Finally, more photos from the incredible Kyndal of Inner Images Photography.